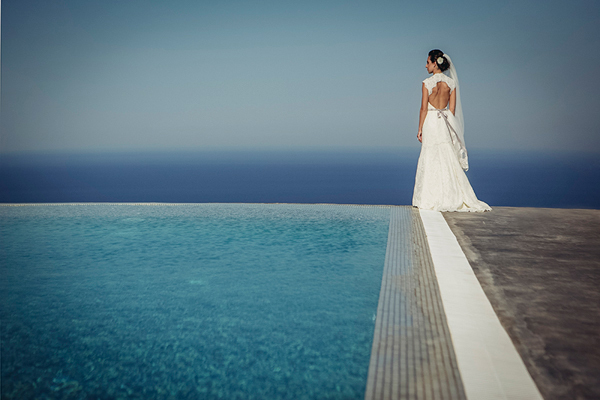 Be prepared to fall head over heels in love with the loveliest wedding dresses by Christos Costarellos. 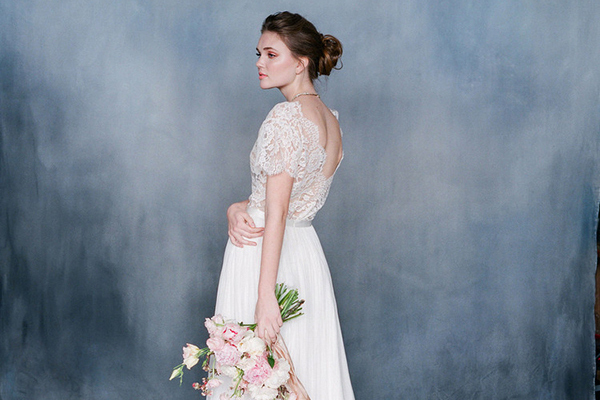 They are romantic, ethereal… made from silk tulle and Chantilly lace…Absolutely gorgeous! Transparent airy wedding dress…the top is made out of delicate lace trimmings, while the skirt is made out of 27 meters of soft tulle. Impressive! The new bridal collection has dresses from transparent tulle, silk organza and airy materials such as muslin and soft tulle. The style of the dresses is considered to be new romantic with discreet influences from the traditional wedding dress. 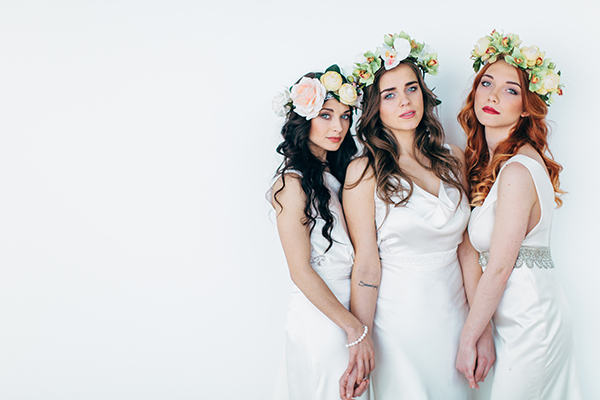 The main characteristic of the new bridal campaign is movement. An elegant total lace wedding dress with a short tail, in cotton lace and silk saten. Simple and yet so alluring…a wedding dress that would be the perfect match for a bohemian bride. Bride in red…absolutely stunning! 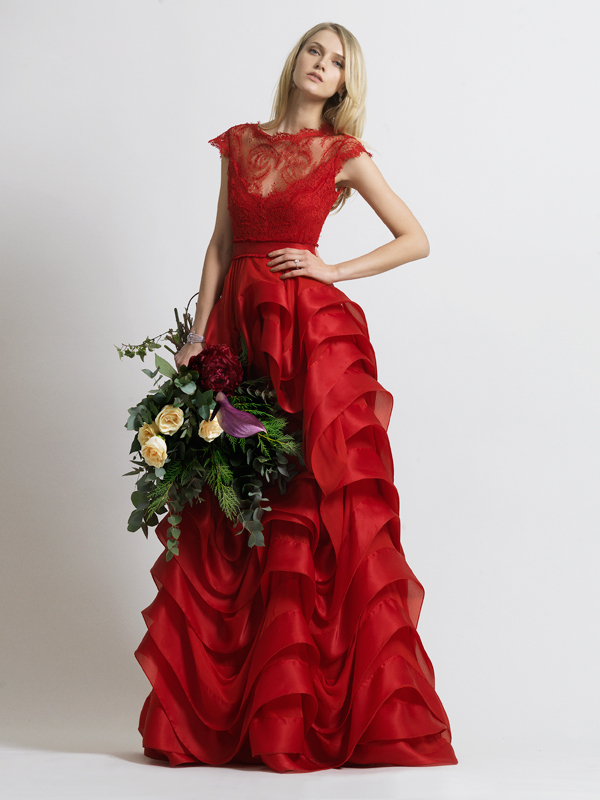 The red wedding dress with Chantilly lace and silk tulle is the ultimate wedding gown for a bride that will dare to wear something absolutely different and not traditional on her wedding day! The long sleeves of this luxurious lace wedding dress, adds emphasis to the open back design. “My creations express a sense of balance…A balance between the classic and alternative, the expected and non expected. Classic forms with elements of excess”, Christos Costarellos has said in an interview. The wedding dress with the oversized organza flowers are a true example of the above statement. A wedding dress for the glamorous bride: A mermaid style dress in luscious lace, silk Italian organza and transparent tulle. The Christos Costarellos 2014 Bridal Campaign has the most amazing dresses for brides that are ethereal, sensual and at the same elegant in a classic way.